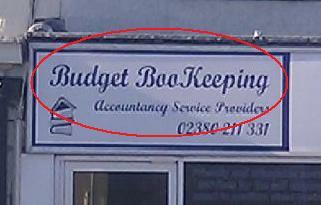 Who said accountancy is boring ? With Halloween just around the corner, what could be better than handing over your company accounts to a firm that not only prides itself in the accuracy of its financial management but also promises more shock thrills and horror spills than a typical episode of Scooby Doo … and all for an affordable price, too. Unfortunately, I took this photograph on a Saturday and sadly they weren’t open for business. I would bet serious money that when they are and you push open the door, a bucket of water – or possibly two-week old pig’s blood – will fall hilariously on your head ! As you stumble into the reception area, trying frantically to wipe the liquid from your eyes, your clumsy feet then cause several rakes to spring up and smack you squarely in the face, over and over, till at last you stagger to the counter on the other side of the room. At this point, the zombie behind the desk comes to life and proceeds to scratch at your face with their purulent, rotting fingers, leaving nails embedded in your cheeks before slumping back down in its chair. As you ring the bell on the counter to ask if they’re taking new clients at the moment, you inadvertently trigger a swarm of locusts to fly out from a hidden jar somewhere … you immediately duck and see several rats roaming around under the chairs in the waiting area, before disappearing through a crack in the skirting board. You stand up, dust yourself down and are about to ring the bell again when a clown steps through a door and smiles at you. He thrusts out his hand which you clasp without thinking and promptly electrocutes you before squirting you in the face with acid from a flower in his button-hole. Weary from your ordeal, blinded by the blood, the acid and half a dozen locust wings caught on your face, you reel backwards only to find yourself falling down a trapdoor, straight into an open sewer running beneath the building. Face to face with the rats again, you scream out in sheer terror at everything that’s befallen you in the past insane few moments of your life. 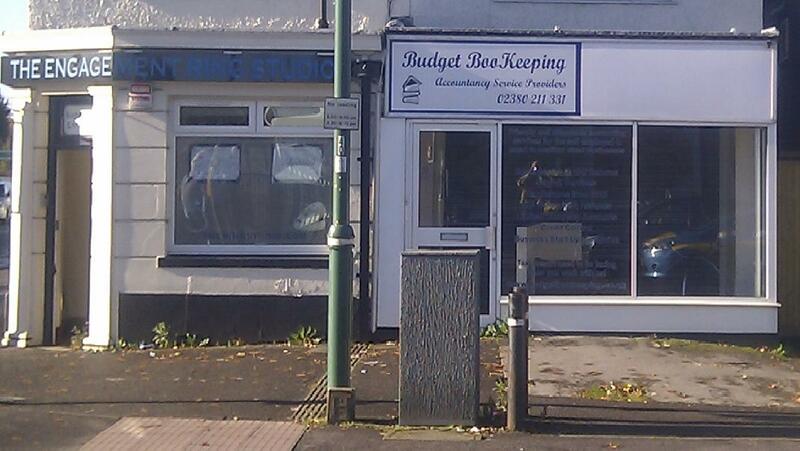 And you thought the Engagement Ring Studio next door looked a bit dodgy ? Welcome to Shirley High Street, my friend … we hope you never leave ! This entry was posted in blogging and tagged accountancy, accounting, book-keeping, engagement ring, horror, mutant mile, scooby doo, shirley, shirley high street, southampton, zombie by rigger67. Bookmark the permalink.